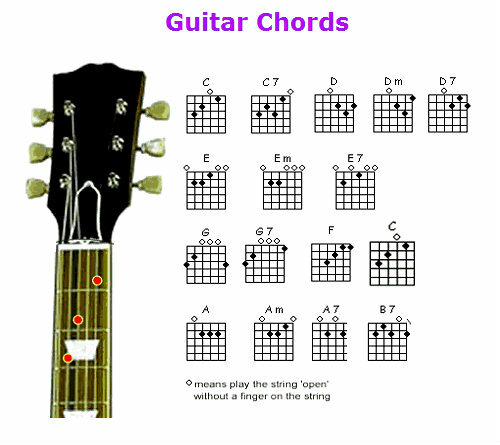 Piano Chord Chart – Piano Chord Diagram – Piano Chord charts show different chords for piano. 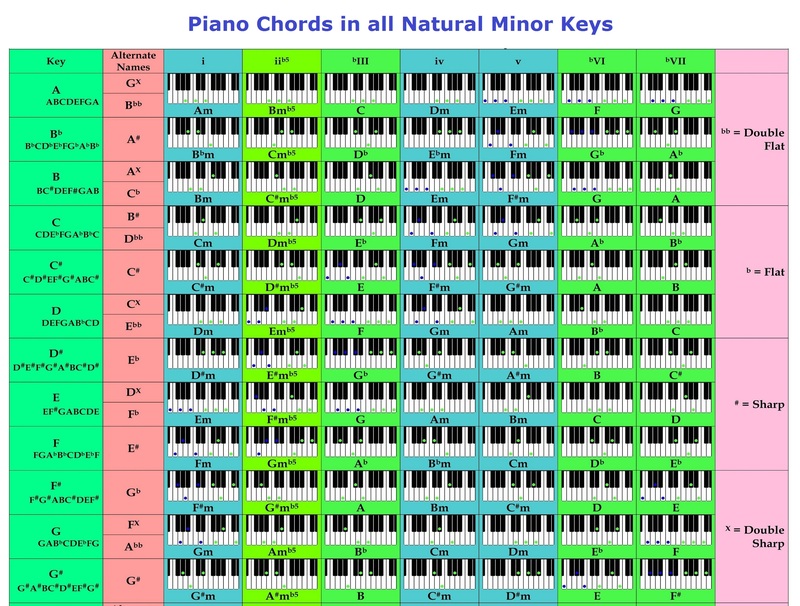 This particular chart displays piano chords in all natural minor keys. Use this diagram to learn piano chords. The piano keys come with labels and are marked by different colors.